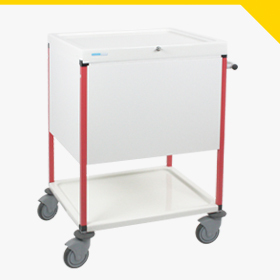 The patient file trolley range is designed for the storage of medical and x-ray files. 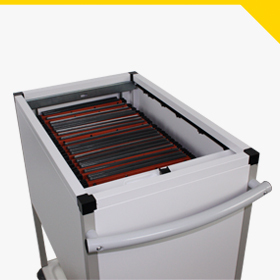 These ergonomic and modular items enable an optimised storage of the files according to each ward’s needs. File confidentiality is assured thanks to the curtain door or upper shelf closing. 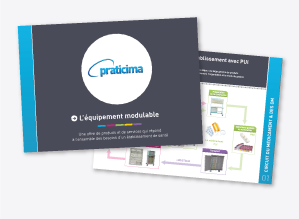 You can also adapt a laptop support on all trolleys and therefore get access to computerized patient files. Closure with sliding curtain or tablet. 4 Ø 125 mm swivelling wheels, 1 with brake and bumpers.